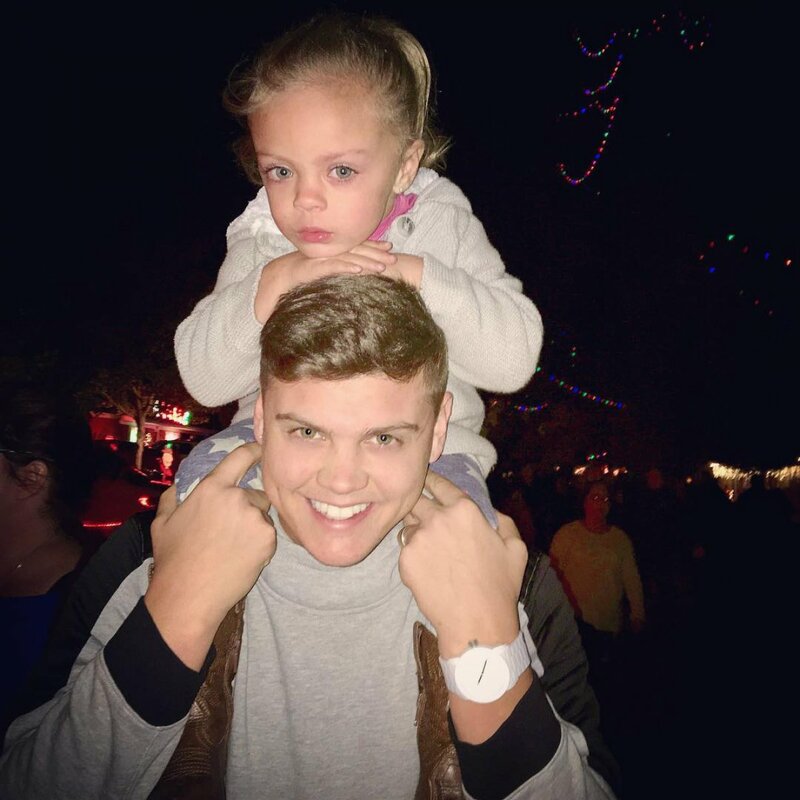 Tyler Baltierra is anticipating the return of his wife, Catelynn Lowell, from a brief rehab stint intended to stabilize her mental and emotional state. "Cate gets out of treatment this Friday & we can't wait!" Tyler, 25, captioned an Instagram video in which he was playing and conversing with the couple's two-year-old daughter Nova on Monday. "We have been in Arizona for the past 2 weeks visiting her every Sunday. I have taken a break from everything & chose to really take this time for me & Nova... without her mom around, she needs me & my devoted attention. Family always comes first!" As previously reported, Catelynn entered a treatment facility last month for having suicidal thoughts. "Well today I thought of every way to kill myself.. so I'm going to treatment," the Teen Mom OG star tweeted on November 17. That same day, Catelynn, 25, explained to Us Weekly that she was "taking the time" she needed to "take good care" of herself. "I thought of every way possible to commit suicide... from wrapping a belt around my neck to just running my car into an electric pole... THANK GOD I have a support system and a HUSBAND and a DAUGHTER... thank god I am self aware... I'm seeking treatment and I WILL get better... anyone feeling alone you ARE NOT ALONE!" Catelynn told Us. "This world needs all of us! We are all here for a reason... Thank you for your support during this tough time... Much Love, Catelynn Baltierra." Tyler -- who married Catelynn in August 2015 -- revealed he was "incredibly proud" of his wife for having the courage to seek help when necessary. Catelynn later shared an update with fans on November 23, writing in a tweet, "Happy thanksgiving! Today I am thankful for LIFE and thankful for my daughters!!" Back in 2016, Catelynn entered a rehab facility in Arizona for postpartum depression and anxiety following the birth of Nova. The Teen Mom OG stars' first child, Carly, was given up for adoption eight years ago, and the couple's emotional decision was documented on an episode of 16 & Pregnant. The seventh season of Teen Mom OG premiered November 27 on MTV.